It was 2:20 p.m. Florida time on June 28, 2015, and the sky was clear. Jennifer Chiang stood among a crowd of spectators at the John F. Kennedy Space Center in Cape Canaveral, Florida. The countdown was on. In just 60 seconds, the SpaceX7 mission would commence. NASA contracted the unmanned Falcon 9 rocket to transport resupply cargo bound for the International Space Station. Among the payload were 50 plates, each with 1,536 yeast strains carrying unique pairs of deleted genes. Chiang, a research scientist in the Nislow/Giaever lab at the University of British Columbia (UBC) Faculty of Pharmaceutical Sciences, had spent the previous six weeks preparing the shipment of strains. Meanwhile in Vancouver, UBC Pharm Sci associate professor and study principal investigator, Dr. Corey Nislow, was providing commentary as he watched the televised launch alongside fellow associate professor, Dr. Guri Giaever. He was narrating the subtleties of how the rocket would separate when it suddenly appeared as though all nine Falcon engines went into overdrive. And then, there was only blue sky. The ground-based mission control's microphones fell silent, but Nislow and Giaever already knew there could be only one explanation. It was a catastrophic loss of the mission. 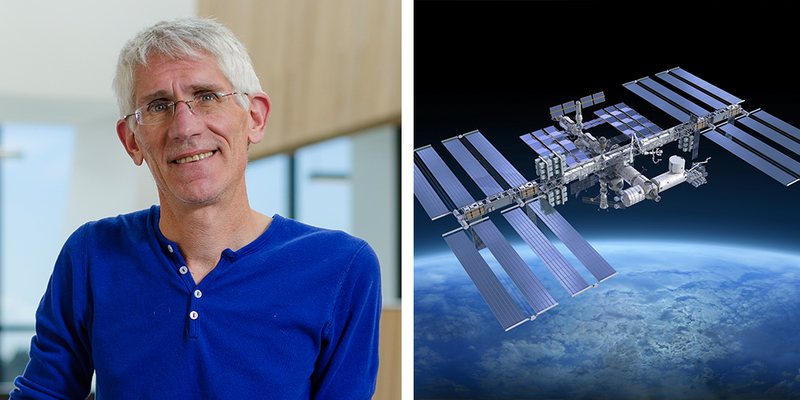 Since 2011, Nislow and his team of fellow researchers have sent three experiments to the International Space Station as part of a collaboration with the University of Colorado Boulder's BioServe Space Technologies and Duke University Durham Veterans Affairs Medical Center. 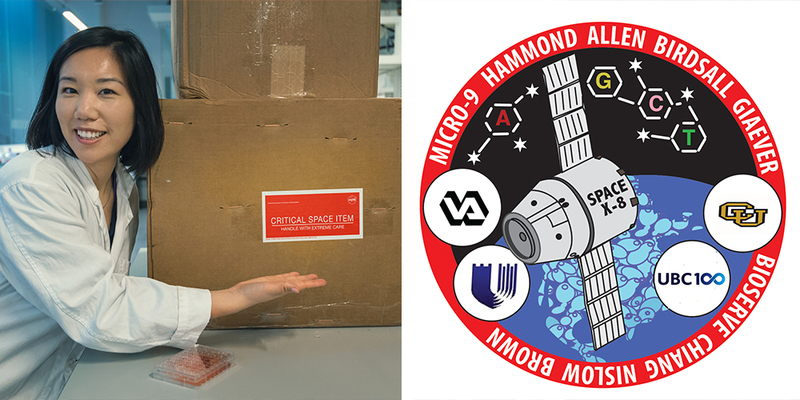 The goal of Nislow's research project is to learn about the effects of microgravity on a cellular level. By identifying how cells respond to the unique stressors of a space environment, NASA can learn more about how to keep humans healthy in space for longer time periods. Nislow's experiment uses yeast cells in place of mammalian cells. "Yeast are very simple model organisms with a cellular makeup similar to ours," he explains. "By pinpointing the effects of microgravity on each genetic variation in a yeast strain, we can make highly accurate inferences about how human cells would respond to the same set of circumstances." Preparing the experiment for launch however, was no simple task. "We prepared 150 plates. Fifty of these were kept refrigerated at 4 degrees Celsius and shipped to Cape Canaveral," says Chiang. "Another 50 plates were placed in ground control here at the Faculty, and the final 50 were placed in the Faculty's clinostat, which mimics a microgravity environment – although instead of experiencing low forces of gravity in all directions as in space, the plates experience the Earth's gravity in a multitude of orientations." The 50 refrigerated plates are contained in a temperature-variable incubator. Once onboard the International Space Station the incubator is switched on, heating the plates to 30 degrees Celsius for an allotted period of time. The experiment requires minimal astronaut interaction, which is an important experimental design consideration from day one. How does it feel to watch months of time, careful preparation, and extensive funding, vanish into smoke? "I think I passed through the Kubler-Ross grief cycle at least 20 times in those first two minutes," laughs Nislow. He is quick to remind me however, that research is mostly about failure. "When you formulate a hypothesis, you assume that you are wrong and that the null hypothesis is, in fact, true. The more interesting the observation, the more difficult it is to try to show that it is not due to your expectation," he explains. "Knowing that failure is the norm should challenge you to get better at failing." Three days after the failed launch, Nislow and Giaever's research team regrouped at the Faculty, proudly wearing their NASA mission patches. They identified that this setback was an opportunity to expand their experiment on the remaining ground control samples to include new variables. The resulting data will allow the team to further streamline the next payload to include additional biological replicates and controls at the same size and weight. "A lot of our hard work and time was lost in the launch, but we kept it in perspective to what else had been lost in terms of all the other experiments and supplies that were onboard," Chiang concludes. In the case of the Falcon 9 rocket failure, SpaceX engineers identified that a $2,000 part was structurally flawed. Moving forward all similar parts are routinely stress-tested. In science, as with any worthwhile pursuit, perseverance is key. Speaking with Chiang in the Faculty's Graduate Student & Alumni Lounge – some 8,000 kilometres from Cape Canaveral, it's clear that her commitment to science runs deep. Chiang is visibly excited as she tells me about the anticipated moment when her precious cargo returns to Earth. "For me, one of the most exciting things about working on this project is that I'm one of the first people to see the cellular response ... to see what cells are reacting to and which pathways are affected," she explains. "You can't achieve these conditions on Earth." IMAGES (from top): Jennifer Chiang, Ivan Yastrebov/UBC Pharm Sci. 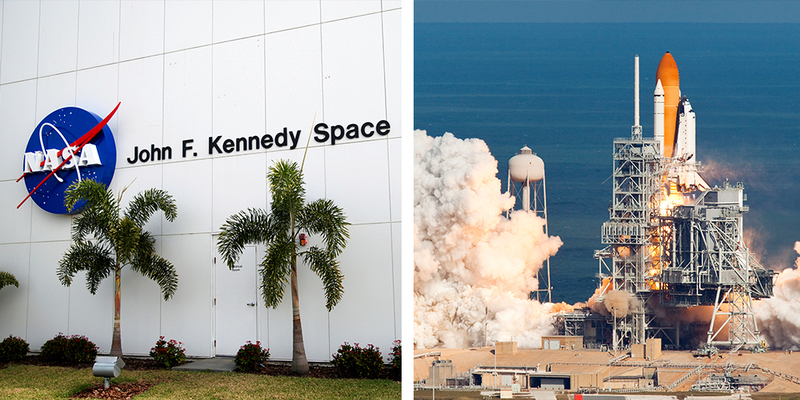 John F. Kennedy Space Centre, iStock.com/Mampfred. SpaceX Dragon rocket, iStock.com/EdStock. Dr. Corey Nislow, Ivan Yastrebov/UBC Pharm Sci. International Space Station, iStock.com/scibak. Jennifer Chiang and shipment of strains, Ivan Yastrebov/UBC Pharm Sci. SpaceX-8 mission patch graphic, NASA.